The e-Lybra 9 system is a powerful bioresonance device which is designed to give the practitioner a well-equipped toolset with which to help dissolve underlying energetic imbalances that can result in poor health. Furthermore, it is possible to imprint affirmations onto the energy bodies in order to effect further positive change - such as to improve the body's resistance to electro-magnetic radiation within the environment. In addition to the straightforward (albeit powerful) Scan/Balance and Formula Processing facilities discussed in About The e-Lybra 9, this section of the website provides further discussion of the background concepts of Energy Medicine and then illustrates how this applies specifically to the e-Lybra 9 by highlighting various other powerful programs available within the software. 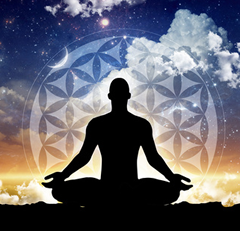 Finally, there is also support within the system to aid the personal energetic development of the practitioner (which we call Energetic Intervention) which helps to clear the blocks to spiritual advancement. This section is not discussed here as the main aim of the system is to be a tool by energy medicine practitioners, but further details are freely available upon request. Bio-Resonance ExplainedA general description of the theory of bio-resonance and how it is implemented with the e-Lybra 9 system. Chakra BalancingChakras are important energy focal points within the body and they intereact between the physical, emotional and spiritual aspects of the whole self. Any of these chakras can become blocked, closed or damaged and this will have a detrimental effect upon the whole person. The e-Lybra Chakra Balancing program aims to dissolve blockages and help restore each chakra to healthy functioning. Psychological and DevelopmentalThought forms and beliefs contain an energetic aspect and are often able to gain an anchor point in the psychological make-up of the person. Harmful thoughts like "nobody could ever love me" alter our behaviour and prevent us from acting as our true selves. The e-Lybra 9 system contains a database of several thousand common negative personal belief statements - the e-Lybra has a program to determine which statements have an anchor point within the client and can set about trying to discharge and dissolve them. Dr Hulda Clark ProtocolsHulda Regehr Clark (1928-2009) was a naturopath, author and practitioner of alternative medicine. Her work centred particularly around the role of parasites as a cause of health problems, and with finding methods to remove them. She believed that disease is caused by foreign organisms and pollutants that damage the immune system. Although she is no longer with us her methodology is still adhered to by practitioner all over the world. The e-Lybra 9 system contains a complete and comprehensive implementation of her protocols. Interference BalancingMany energy blockages within a body cannot be readily identified as a specific bacteria, virus, repressed emotion, thoughtform - and so on - but they will still interfere with the natural state of balance and harmony within an individual. The e-Lybra 9 is able to create a reference to these interferences as a means to sending appropriate remedial patterns. Energetic InterventionA personal development program for removing blocks to higher awareness. Bridge To ConsciousnessThe Bridge To Consciousness lies at the very heart of how the e-Lybra technology works. Understand the working of the whole body from the energy medicine practitioner's point of view, and how it can be positively influenced to improve health. Interview With The InventorVictor Sims explains how he came to create the e-Lybra technology. I use the e-Lybra every working day in the clinic. It has proven to be a valuable tool and has helped countless clients. Compared to the QXCI and Bicom it was the best screen layouts I had seen.